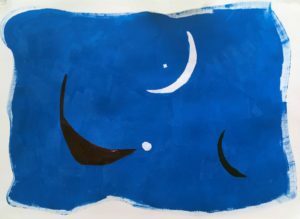 Nuit, 2018, acrylic on paper, 22” X 30”. This exhibition presents the pathway James B Murphy took from the representational to more suggestive but still identifiable images and then beyond the suggestive to the pure abstract. 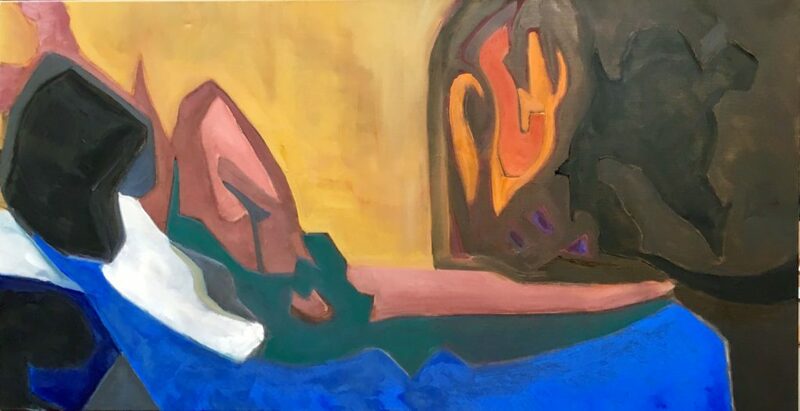 Odalisque, 2018, oil on canvas, 24” X 42”.